Dear Community, What army should I play in 2018? Man it's been a long time since I did a blog post. I should do this more (ed. note: we all should); if anything it keeps me accountable to the hobby. So as 2018 draws near, I want to be a better player (don't we all?). With my schedule and family and work commitments, my calendar is pretty tight for going to tourneys so I need to make the best bang for my buck. I will do that by playing one army this year and doing my best to get good with it. Too often I will play an army for a few games then get shiny model syndrome and switch armies. What is up Everyone? Evan and Ron do a duet on local tournaments and some Tyranid strategies. 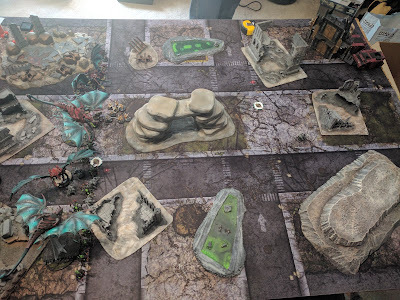 Ron is list building and trying to figure how to build his bugs, what he likes and doesn't like, and what hive fleet to use when he knows the meta. Evan talks about the tournament he went to recently in Gate City, VA put on by Ricky Addington where he had a good weekend and lost to The Paul Murphy. Both Paul and Ricky are part of the Forge the Narrative podcast. Evan also goes down some key strategies, when to use certain stratagems, and gives an overall view of one of the many ways to play bugs in 8th edition. It is a quick duet, so enjoy the show. The bugs are coming out to play! What is up Everyone? Evan, Bryan, and Chandler work their way into a healthy discussion about the most recent tournaments they went to: The Renegade Open and Warzone: Atlanta. Bryan starts the night off by going through his list, talking about some of the fun moments and crucial decisions he made, and the overall feel of one of the top tournaments in the Midwest. Dave and Puck really know how to setup a fun and challenging event. Chandler and Evan then breakdown their round by round games as they discuss some of the challenges that happened with the missions, some of the fun aspects of the opponents and games they played, and then talk about some of the finer moments of the tournament. This is one of the Biggest Warhammer 40k Parties in the Nation and the men and women from the General Staff do a hell of a job putting it all together. We've got a fever, and the only cure, is more Tournaments! What is up Everyone? Evan, Bryan, and Chandler join forces to start the epic Tyranid Codex Review. 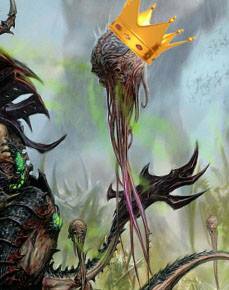 It is almost Thanksgiving, and the Nid Players are Thankful for a great bounty of possible options in this new codex. The guys sit down to start off this review by going through the Hive Fleet adaptations, the Stratagems, and to start the discussion on what we think of the Warlord Traits and some fun synergies. We also start to discuss possible list building, because there has been a ton of list being sent over the FTGT Communication Array. Bryan is finishing up some painting for Renegade, Evan and Chandler are both back from Warzone, but the only thing on the collective Hive Mind are the New and Improved Bugs. ALL HAIL THE MIGHTY SPORELORD! What is up Everyone? Ron, Evan, and Chandler are joined by Kelly Wallace, Field Marshall, of the General Staff to break down Warzone. With just under two weeks to prepare, Kelly heard our last podcast and decided to join us to break down the missions, talk about the tournament and how they set things up, and bring some good knowledge (seriously, Chandler was taking notes during the podcast at that point [NERD]). He also talks about some of the ideas for the future, some of the major changes and minor changes made (look at the Facebook and Website for updates), and what to expect for November 10th-12th. It is a fun entertaining podcast with one of the taller members of General Staff and a guy who with a bunch of friends have made one of the best tournaments in the US. The Field Marshall commands you to Listen to this Podcast! What is up Everyone? Bryan, Evan, and Chandler sit down to break down the Mission Pack for Warzone Atlanta. With the Tournament less than a month away, the guys go through from the setup, to what can be rerolled, and each mission. The missions are discussed about the scoring, some of the things we like and don't like, and our thoughts on challenges that could pop up in the mission. Bryan talks about the Death Guard that will be making their way to the Renegade Open and his thoughts on Distraction Units and where and how to use them. A fun podcast breaking down missions, just like we have done in the past. The Missions for Warzone are out, and the boys break them down while talking a little strategy. What is up Everyone? Evan, Bryan, Ron, and Chandler come together for that special time of the year: Tournament Season. One of our listeners asked us to give him some list ideas for a Kill Team Event going on this weekend. The Boys put their collective brains together to give a few list ideas, some thoughts on Kill Team Events, and what are some armies that could do especially well. We then get right into NOVA. Evan and Ron are representing the Grey Tide this year and talk about their lists (SURPRISE - They're taking NIDS!). They also talk about the tournament, some of the neat events this year, and of course we round out our podcast with some wishful Nid thinking. Kill Team: CHECK. NOVA: DOUBLE CHECK. Hands Across America: CHECK! It's been a pretty quiet year on the blog, but as far as my first and biggest event of the year, NOVA, not much has changed this year. We're in the home stretch, and I feel like I'm still a ways away in terms of preparation; business as usual. What is up Everyone? Bryan, Evan, Ron, and Chandler sit down for this week's podcast to review the first 8th edition codex: Codex Space Marines! It has been a long time since the boys were all together and an even longer time since a proper codex review was done. 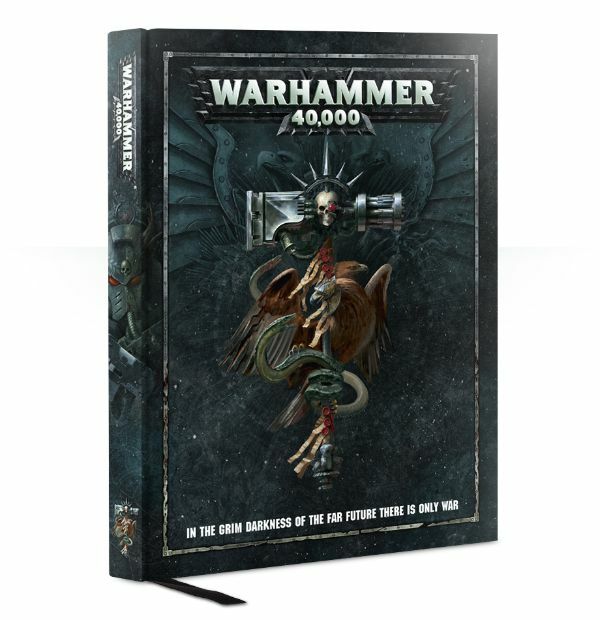 Everything is discussed from the incredible background that was done into all of the armies histories, to updates to some key units, and of course they talk about the latest Primaris models and some of the big changes that happened in the unit entries and point costs. It makes sense that with the launch of the newest edition of Warhammer 40k that GW should release the Flag Ship army Space Marines to give us a unique insight into what could be coming down the pipeline for other armies. Sit back and enjoy an old school codex Review from the Grey Tide. A Codex Review the only way we know how to do it! Hey Everyone! Today I want to go over some tactics for my favorite part of the game of 40k: combat. In this article, I'm going to go over the three moves involved in an assault, as well as some tactics for getting the most out of your assaults (or minimizing your opponent's impact in theirs). 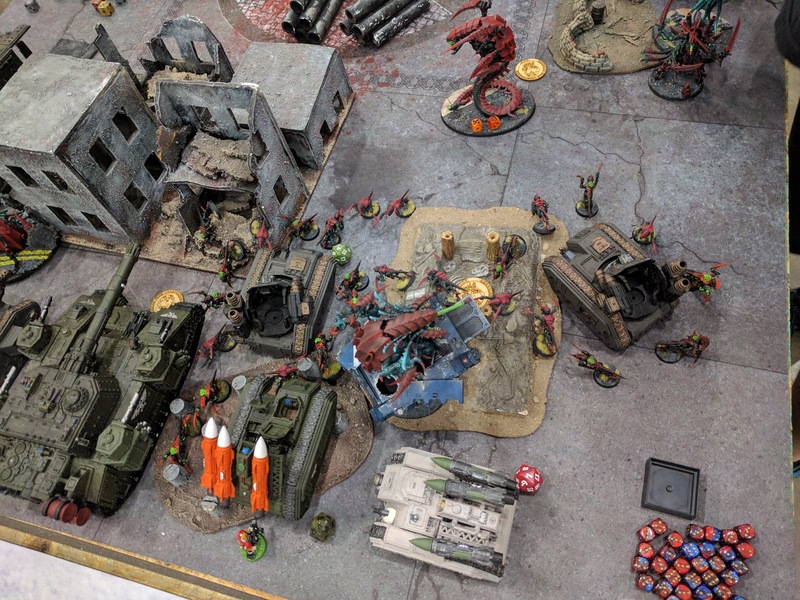 The moves and positioning involved in the combat phase is an area where the streamlined rules of 8th Edition actually generate an incredible depth of complexity. The changes to the rules in this phase are mostly pretty subtle, so I regularly see them being read or done wrong. Interestingly, using 7th edition movements is usually legal in 8th edition, but rarely the best option. What is up Everyone? Bryan, Evan, and Chandler sit down this week to recap the ATC where Team FTGT made the first showing. It was an incredible event and Chandler and Evan break down the match-ups, how they did, how the team did, and also some of the crazier lists that we saw there. It was an incredible time with a bunch of teams, a hell of a lot of people, and some good ole fashioned dice rolling. It was an event that has to be attended at least once, and we are excited to be heading back next year. ATC, Lists, and Dice. A good show for sure. The FTGT Team returned from its inaugural trip to ATC and I think we all had a blast, getting a bunch of games and not much sleep. 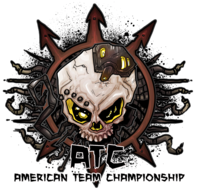 For those who don't know, the ATC is the American Team Championship, and it's undoubtedly the biggest team event in the country. This year 58 teams of five made their way to Chatanooga to battle it out; that's 290 40k players! What is up Everyone? Bryan, Evan, and Chandler sit down this week to go over some listener questions. As many of you know, with the newest edition of Warhammer 40k dropping, there is bound to be some questions on scenarios, the meta, and opinions on tournaments announcing what their plans will be. The guys put the combined knowledge together to answer a few before getting into one of the podcast's favorite past times: List Building with Tyranids. Evan and Bryan talk about some of their lists they have started to put together, some initial thoughts on a few units, and start to try to figure out who the all-stars will be. Once again, the Podcast is ready to go answer the tough questions: Will The Sporelord Rise? Old School List Building Podcast, Don't Mind if we DO! What is up Everyone? Ron, Bryan, Evan, and Chandler sit down to talk about everything and anything that we have learned from 8th Edition. We discuss things that we like in our armies, things that have shocked us or surprised us, and discuss our lists that we have been thinking about since all of the Rules are out. We have a little fun about some of the fun choices in the 40k world, and we start really breaking down the blogs favorite army; Tyranids! It is a fun day on the podcast, and 8th edition is the truth. Leave the rules alone and play it as it lies for now. I've had the beginnings of this post, a tournament report from the De-La-Warr Open, partially written for over a month. And like much of my attitude to 7th this year, I just never felt fully motivated to finish it and was more interested in looking ahead to 8th. With the official release of 8th today, I thought I'd finish this, and talk briefly about the path ahead in the new edition. Hi All, it's been a long time, and I'm working on getting some more "regular" content coming out, but I wanted to post up very quickly that I will be streaming our first game of 8th Edition today around 11amEST on Twitch. The lists are below the fold, but I will be running a Nid list vs. James' Genestealer Cult and Astra Militarum army (heavy proxy warning). Come join us as we fumble our way through the new edition! What is up Everyone? After a long sleep, we are back and talking 8th Edition. Evan, Ron, Bryan, and Chandler group up to talk about everything and anything that we have seen posted about 8th Edition. Evan talks about some of the things he has been working, the guys talk rumors up and down, and we talk about a few of the major things that we are excited for and hoping get released in the near future before the June 10th Release Date. The Tide is up and ready to get our hobby on. 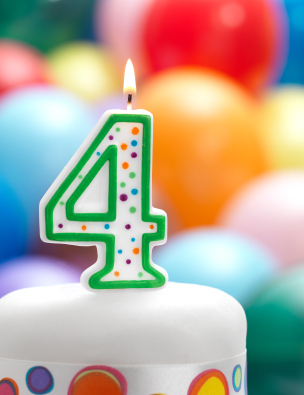 I'm almost a month late, but this April marks the fourth birthday of the blog. While we've been pretty inactive of late, we haven't completely folded up shop yet, and with the impending release of 8th Edition we have the mental wheels turning and typing fingers stretching. We haven't had a recent podcast because of technical difficulties - Chandler's computer died and as the keeper of the podcast, we haven't had a chance to record again. Despite being quiet as far as blogging and podcasting goes, we're still gaming, painting, and so on. 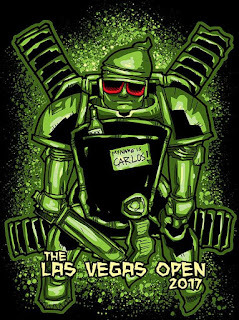 Following up from yesterday's post, I'm going to take a quick look at the Top from the LVO, what armies are represented, and a stab at providing my bracket (as well as a bracket for you to make predictions until the round starts shortly). You can also check out Frontline's breakdown here. 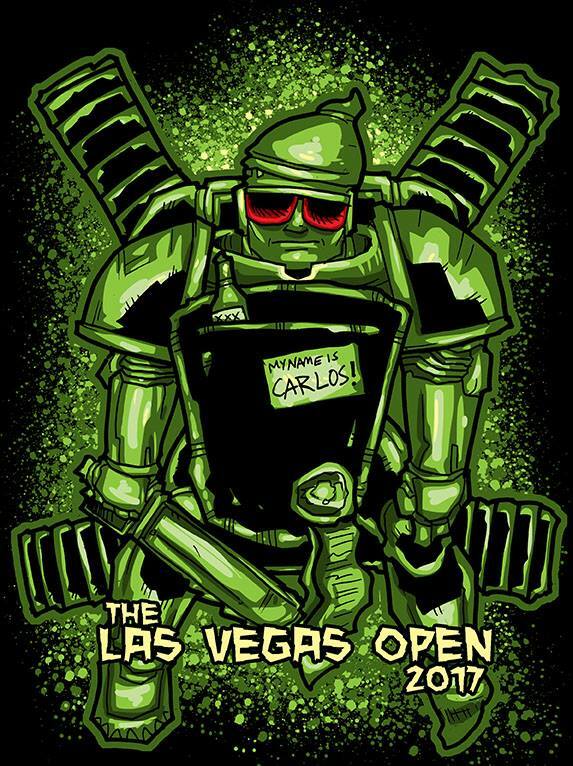 After day one of LVO was in the books, I decided to take a look at the remaining undefeated players from this massive field. After the first three rounds, there were 39 players with a 3-0 record. For ease of data entry, I'm only looking at this segment of the field (for now at least). Note, this does not include 2-0-1 players who are undefeated but will have a tough road to make the cut for Day 3. What is up Everyone? On today's podcast, Chandler and Evan sit down with Shane Grubb, one of the men behind the American Team Championship, or ATC. He joins us for the first half of the show to talk about the event, location, and some key dates that everyone should be aware of in the coming months. He also goes into how the ATC was formed, some of the interesting things that could be coming out in the next year, and some of the challenges behind not only putting on a tournament, but a team tournament at that. Shane also explains a little bit about his World War 40k narrative campaign that sounds like one of the coolest player driven stories. He is a wealth of knowledge and brings it all to the table. Shane gives us some inside info on the ATC and World War 40k. What is up Everyone? Happy New Year and welcome to the first Podcast of the New Year. Evan and Bryan sit down with Puck and David to talk about the Renegade Open Tournament at the Fantasy Flight Game Center in Minnesota. This was held back in November. Bryan breaks down his games, Puck and David explain a lot about the tournament ad why they setup the way they did (Army Points, Games, Lists, etc. ), and they talk about the Player Placed Terrain. The Guys from Renegade bring a lot of insight, a lot of cool thoughts, and are awesome as always when breaking down one of the coolest tournaments in the North Central US. The Renegades are taking over your FTGT Radio Station....at least for a day.